I love having the long break to get organized. Something about the new year makes me want to start fresh. 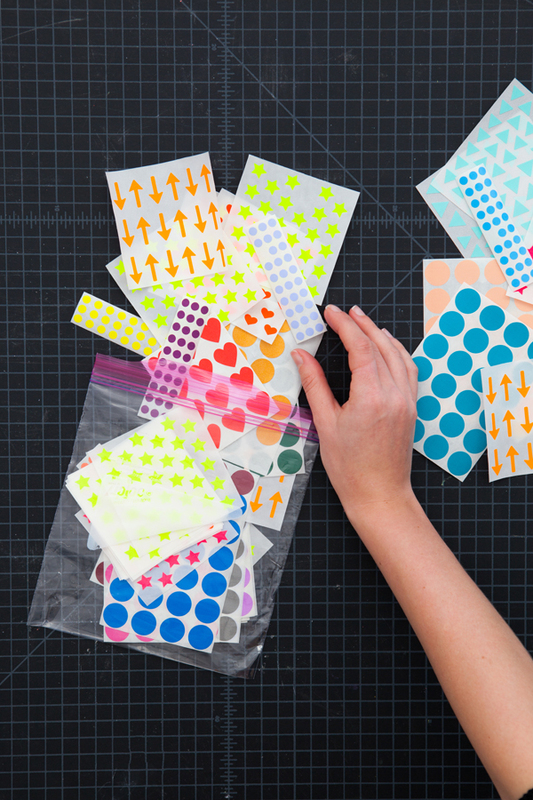 We’ve partnered with Ziploc Brand to share our favorite craft area organization tips. One universal truth I’ve learned is that if you do projects things never stay organized for long. 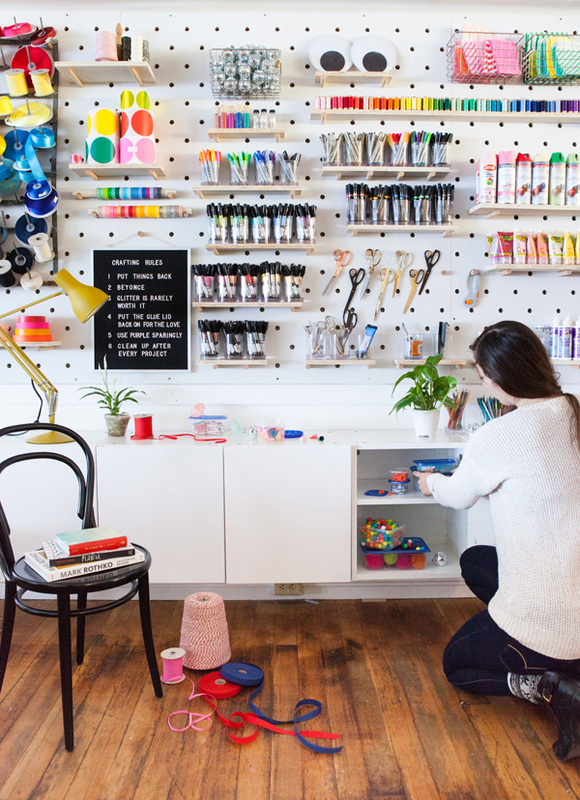 We make things a lot in our craft studio and it’s a constant struggle to maintain it. 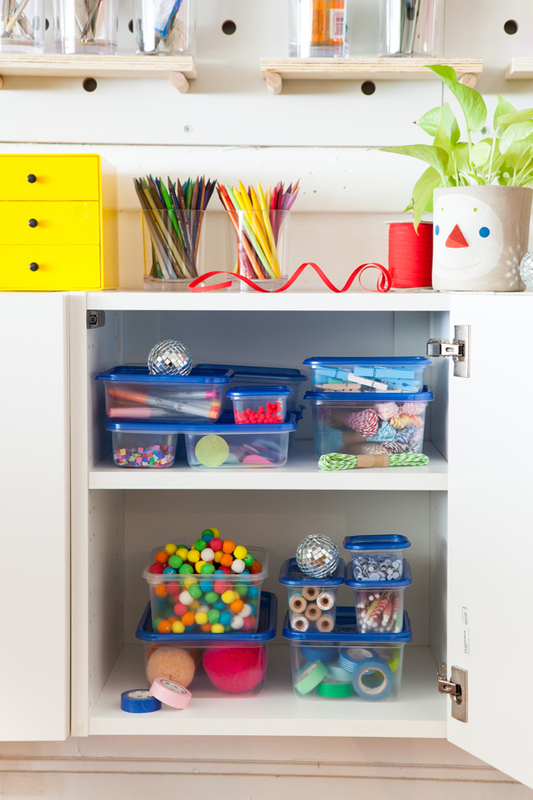 Here are a few tips we’ve learned through the years to keep it tidy. It’s easy to want to hang onto every shiny scrap of paper but give yourself limits. We allow ourselves to keep whatever will keep in our scrap drawer but anything else gets recycled or given away. 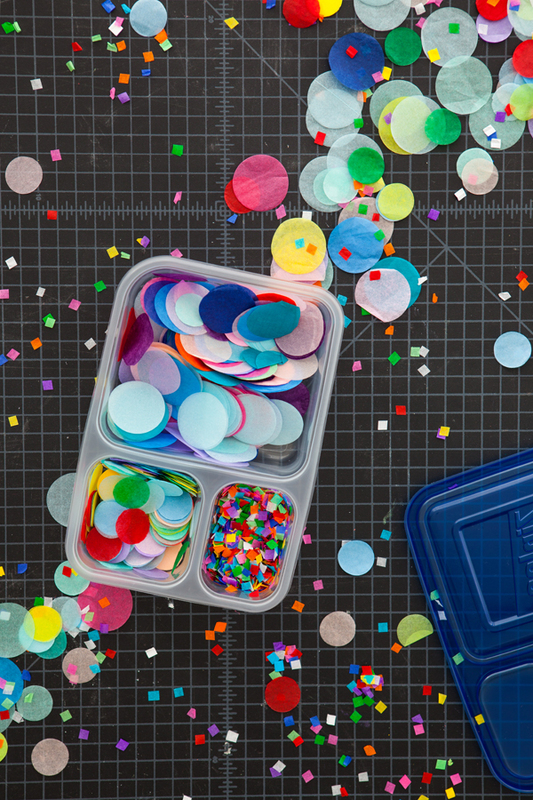 We put together a box of our most-used tools: scissors, glue, tape, etc. so that it is easy to access. Put the things you use least on the harder-to-reach shelves. 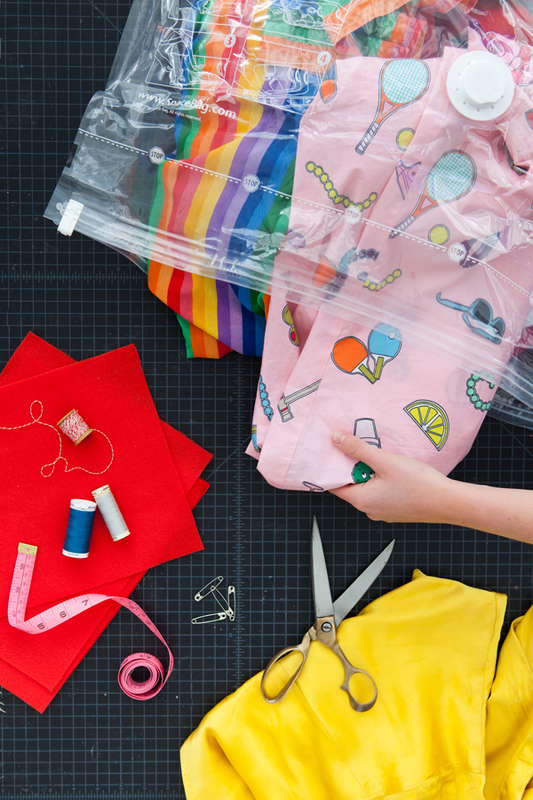 The Ziploc® Space Bag® compression bag is perfect for storing bulky fabrics. Just vacuum out the air using the vacuum hose, and the fabric is instantly flattened to make room for more supplies. 4. In with the New! After you’ve cleaned it out, keep your space updated with your favorite things to keep you inspired. Nothing makes me feel more inspired than coming home from a trip to the crafting store with new fun materials. This post is sponsored by Ziploc Brand: Life Needs Ziploc. 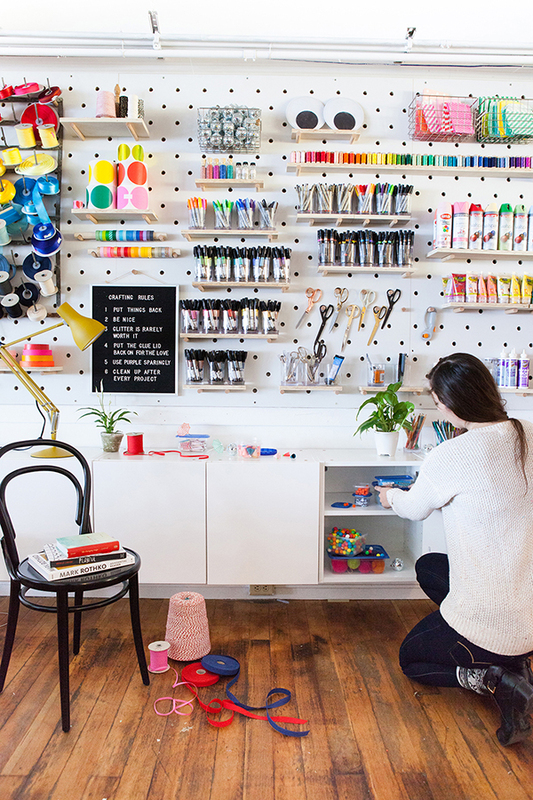 I wish my crafting space would look so organized and pretty like yours! This is beautiful. I want this room to be mine. I packed all my stickers and small paper embellishments into Ziploc bags as well. I separated by categories (I wrote on the package with pernament marker). This made it very easy for me to make my scrapbooking pages. LOVE your organization system so much! Thanks for the tips! You’ve got no idea how this post makes me happy! Even the photos make me relax (as weird as it might sound). LOL. I love organizing as it allows me to work more efficiently and when it comes to crafting, it’s easier to find things. I also love to snoop at other people’s craft spaces. Hihi. Wow — Can you say DROOL? I think the true question is, how do you keep everything from being covered in glitter/confetti?! 😉 Haha. Seriously, though. Great post. I have a few ziploc plastic containers that aren’t good for storing food anymore but could still hold small things like this! I may have to go ahead and re-purpose them. OHMYGOSH! I love this space. 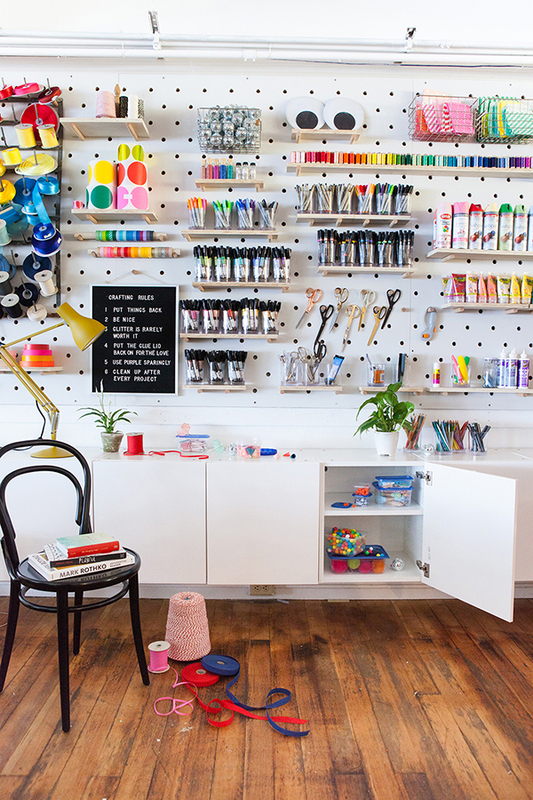 This is perfection and I want to have a room like this full of art materials which is very organized. I was truly inspired by this. SWOONED! I am DYING over that pink fabric! Can you share the brand/where it is from? Thanks! Where is the wall pegboard and posts from? Thanks for the organizing tips!